Tracey Spicer is one of the most versatile journalists and presenters in the country, with a portfolio spanning television, radio, newspapers, magazines, and online media. During her 25-year career, she has anchored news, current affairs and lifestyle programs in Sydney, Melbourne and Brisbane. Currently, Tracey works as an anchor for Sky News, weekly columnist for Fairfax Media and The Hoopla, radio broadcaster, and presentation trainer at the Australian Film, Television and Radio School. Tracey has written, produced and presented documentaries for NGOs in Bangladesh, Kenya, Papua New Guinea, and India. As you’d probably guess from her twitter feed, Tracey is passionate about women’s rights, social justice, and equal opportunity, and a lobbyist for the voluntary euthanasia movement. The 46-year-old has just set up Women in Media, a mentoring and networking group, backed by the Media Entertainment and Arts Alliance. Jacqueline Jago BA/LLB LLM is an executive coach and writer specialising in women’s leadership and peer circle methods. The founder and principal of Bloom Coaching & Consulting, Jacqueline is a sharp and intuitive executive coach who brings to her coaching work fifteen years of experience in legal and public policy and team supervision (at local, State and Commonwealth level). Certified as an Associate Coach with Integral Coaching Canada since 2011, Jacqueline brings high order cultural competence, a genuine liking for and empathy with people from all walks of life and culture, and a refined attunement to team dynamics. 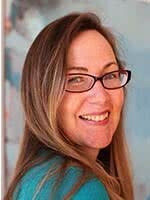 She is known for her holistic approach, emotional intelligence, ability to locate the issues “beneath the words”, and for a lively and engaging approach to individual and group work. Dr Sarah Pearson is an internationally experienced Open Innovation practitioner and advocate for collaborative innovation in Australia. She drives innovation strategy and practice in both corporate and government arenas, and is passionate about helping Australia benefit from this effective and efficient approach in both industrial and social innovation applications. 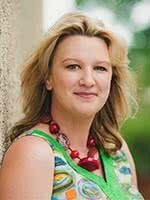 She is currently CEO of the CBR Innovation Network, an entity set up recently to transform the ACT economy through innovation and entrepreneurship. She is also a Board Director on 7 Boards covering manufacturing, industry peak bodies, social innovation, angel investment and STEM support. Sarah’s eclectic career has spanned industrial innovation, academia, management consulting, government, and science communication, from the University of Oxford, to McKinsey, Cadbury and ANU. Sarah has also published extensively through the media of TV, radio, books, academic journals, magazines and newspapers, and is an author on eight international patents, for cancer diagnosis and novel confectionary. Angela Priestley is an Associate Publisher with Private Media and the founding editor of Women’s Agenda, a publication for career-minded women. She has been a journalist and editor for more than ten years, writing about and editing publications on legal affairs, business, politics and technology. She wrote her first book, Women Who Seize the Moment, while on maternity leave, after speaking with dozens of inspiring and game-changing women. Angela was named one of Cosmopolitan’s 30 Under 30 in 2013, and in 2014 as one of Open Colleges most inspiring women online. 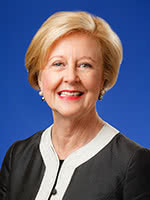 Emeritus Professor Gillian Triggs is the President of the Australian Human Rights Commission, taking up her appointment in 2012. She was Dean of the Faculty of Law and Challis Professor of International Law at the University of Sydney from 2007-12 and Director of the British Institute of International and Comparative Law from 2005-7. 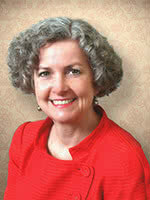 She is a former Barrister with Seven Wentworth Chambers and a Governor of the College of Law. Professor Triggs’ long-standing commitment to legal education builds upon the Commission’s efforts to inform Australians, especially children, about their fundamental human rights. Clare has had Top Ten albums, been named Rolling Stone Woman of the Year (Contribution to Culture), Yen Young Woman of the Year (Music), toured the world with Gotye and nationally with Leonard Cohen, written for Harpers Bazaar and the Drum, and currently hosts an Australian Music Show on Qantas. Along with her creative/business/life-partner Marty Brown, she has three children – identical twins Oscar and Elijah, and one-of-a-kind Asha. On TV, she has been a featured guest on programs from “Compass”, “Q&A”, “Artscape” and “Insight”, to “Talkin’ Bout Your Generation”, “Rockwiz” and “Spicks and Specks”, was a regular guest host on “The Circle” and has presented (and won) at the ARIA Awards. She was the first “Q & A” panelist ever to also perform a song, and interviewed Prime Minister Gillard for MYSPACE, three days before the crucial 2010 election. Clare also co-wrote and starred in the smash-hit theatre-show “Tales From The Life Of Eva – The Eva Cassidy Story”, in 2011. Clare’s talents also extend to public speaking, presenting key note speeches, hosting and MCing, including the “Women of Letters” book launches and an inspiring TEDx talk at the Wheeler Centre in December 2012. Clare narrated Music Max’s “My First Gig”, Series One and Two. Clare also hosted the nightly Evenings radio show on ABC 774 in a national broadcast during the summer of 2011, and has hosted summer shows on Triple J and has also guest-edited a special edition of Australian Musician magazine. 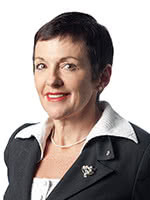 Clare is regularly invited to sit on both Ministerial and Award Assessment panels (Australia Council, AMP, ARIA, APRA), and was Secretary of the Music Victoria Board until 2012. She is also a proud ambassador for Life’s Little Treasures, PPCA and APRA. At just 22 years old, Stephanie was introduced to the issue of human trafficking after reading the heart-wrenching biography by Somaly Mam, a Cambodian woman sold into prostitution as a child. Stephanie utilized her skills in events and marketing and founded PROJECT FUTURES in June 2009, after her first event raised $80,000 for Somaly Mam’s work in Cambodia supporting victims and survivors of human trafficking. PROJECT FUTURES empowers and engages a generation of passionate young professionals to participate in creative, innovative and sustainable fundraising initiatives to support long-term project partners in Australia, Cambodia and Nepal. Stephanie has a Bachelor of International Communication from Macquarie University and in 2014 was named one of Westpac’s 100 Women of Influence. 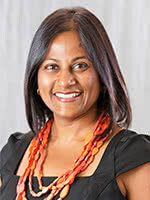 Yamini Naidu is a global thought leader in business storytelling and the co author of the recently published ‘Hooked: How Leaders Connect, engage & inspire with storytelling’. Her clients are from the top 100 ASX listed companies and include the Telstra, ANZ, Woolworths, Origin Energy, Ericsson and NAB. An economist by training (please don’t hold that against her) she has helped clients achieve significant business results, such as increasing employee engagement, leading organisational change, winning multi million dollar tenders and increasing sales …all through the power of organisational storytelling. She believes that whatever you are trying to achieve in business, storytelling can help you get there and in fact guarantees that! Kate is well known and respected in the not-forprofit and business communities having served two years as CEO of beyondblue and previously four years as CEO of the Australian Food and Grocery Council. Kate served as Chief Minister of the ACT from 1995 to 2000. Kate was appointed an Officer of the Order of Australia in 2006 for her services to community through contributions to economic development and support for the business sector, knowledge industries, the medical sector and medical technology advances. Emma Bennison is the CEO of Arts Access Australia. 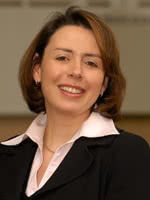 Emma is the first person with disability to lead the organisation, following the departure of her predecessor, who stepped down because she believed that an organisation advocating for the rights of people with disability should be disability-led. Emma has a particular interest in increasing opportunities for people with disability to take up leadership roles both for the benefit of people with disability and the arts and cultural sector. She recently returned from a research visit to the UK to explore why there are more leaders with disability in the UK and how opportunities can be increased in Australia. 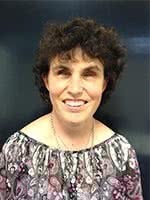 Prior to this appointment, Emma spent eight years working in various roles at Access Arts, Queensland’s peak arts and disability organisation and in various Government roles before this. Emma is also a singer and song-writer whose work often focuses on her experience as a person with disability and an advocate. Her solo show, “Fine Line” recently featured in Tasmania’s Festival of Voices and her new album will be released in 2015. Nip Wijewickrema is a passionate and driven 22 year old Canberra girl who’s trying to change the world, one flower at a time. Together with her family, Nip helped establish GG’s Flowers – a socially sustainable florist that only employs people with special needs. The business was made for Nip’s beautiful sister, Gayana – a 16 year old girl with Down Syndrome that loves hugs and flowers. In her limited spare time, Nip volunteers as a crisis counsellor for Lifeline Canberra. Nip was named Young Canberra Citizen of the Year for her contribution to the community. Dai was born in Saigon, Vietnam and spent years in refugee camps in South East Asia before being accepted for resettlement in Australia, arriving here with her mother and two younger sisters in December 1979. A former award-winning journalist, independent film-maker and broadcaster with the Australian Broadcasting Corporation, Dai stepped into the world of politics in 2008 standing as a candidate in the seat of Cabramatta. Dai is Member of the Advisory Board of Multicultural NSW (formerly NSW Community Relations Commission). In September 2012 she was elected to Fairfield City Council. Dai also serves as a director with STARTTS, the NSW Service for the Treatment and Rehabilitation of Torture and Trauma Survivors the NSW and was Deputy Chair of the NSW Ethnic Communities Council. Dai is passionate about increased representation of Asian Australian women and cultural diverse groups in mainstream institutions. Along with a group of committed and driven business and professional women and men, Dai formed the Diverse Australasian Women’s Network – DAWN – to create a space where these women, and men, can ‘lean-in’ as they embark on their individual challenges. Rebecca originally joined the Department of Defence in 1993 after four years as a secondary teacher and was promoted to the Senior Executive Service in 2004, holding a range of leadership positions in government departments. Rebecca was promoted to Deputy Secretary Defence People in May 2014. Rebecca has a Bachelor of Science Degree and a Graduate Diploma in Education from the University of Melbourne, and a Graduate Diploma in Applied Science (Computer Science) from Swinburne University. In 2003 she completed the Senior Management Development Program at the Australian Graduate School of Management and is a Graduate member of the Australian Institute of Company Directors. Tjanara Goreng Goreng is an Adjunct Assistant Professor of Indigenous Studies based at the University of Canberra where she has taught Indigenous Studies since 2014. She is a Wakka Wakka/Wulli Wulli woman from Central Queensland with cultural ties to the Yankunytjatjara people of Mutitjulu near Uluru. 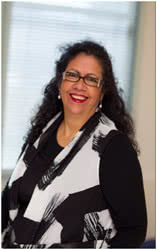 Since 1979 Tjanara has worked in both academia and the Australian, Queensland and NSW governments Public Services, including in the Department of Prime Minister and Cabinet, the Department of Foreign Affairs and Trade, the Office of Indigenous Policy Coordination and the NSW Attorney General’s Department. Additionally she has worked and researched in transformational leadership and mentored CEOs and General Managers across a range of organisations. Tjanara completed a Masters Degree on community recovery from dependency and violence in Indigenous communities and models of change and is currently undertaking her PhD study on ‘The Road to Eldership’ at the Australian National University in Canberra. Her thesis examines investigates & describes the generational ‘Eldership’ training and development process through the biographies of Aboriginal people who live/lived this. In 2015 Tjanara with her Elders founded ONE INMA Global to advocate on behalf of Indigenous Peoples worldwide and offer training and consultancy to non-Indigenous agencies in cultural education for working with Indigenous Peoples globally. Jessica May is the founder and Chief Executive Officer of the innovative web based Enabled Employment, which is a labour hire company for people with a disability. Enabled Employment is unique in Australia, and possibly the world, with its approach of using flexible arrangements to enable highly capable people with a disability to find productive and well-paid employment. Enabled Employment makes it easy for employers to fill skill gaps and address declining disability employment participation. 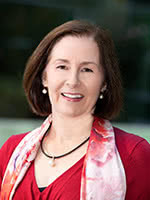 Her CV is impressive, and includes the Prime Minister’s Award for Innovation and Excellence in Public Sector Management, the Robert Perry Memorial Scholarship at the Canberra Institute of Technology, an Australia Day Achievement Medallion in 2007 and the Innovation Award at the ACT Chief Ministers Inclusion Awards in 2014. Jess has a Diploma of Software Development, a Diploma of Project Management, and a Graduate Diploma in Public Sector Management. 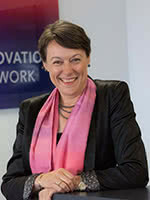 Stephanie Foster was appointed as the Deputy Australian Public Service Commissioner on 3 October 2013. In this role she supports the Australian Public Service Commissioner in leading and shaping a unified, high performing Australian Public Service. Stephanie joined the Commission from the Department of Regional Australia, Local Government, Arts and Sports where she had been since its inception as the Department of Regional Australia, Regional Development and Local Government in September 2010. Her responsibilities included regional policy and the Arts. Stephanie Foster is a career public servant who has worked with the Australian Public Service since joining the Department of Defence in 1987 as a graduate trainee. Stephanie spent sixteen years in the Intelligence community in a range of analytic and management positions and a further six years in Defence’s International Policy area. Stephanie was awarded a Public Service Medal in June 2008 for her policy support to Australian Defence Force deployments overseas. Hala is Microsoft’s Federal Director and Canberra Branch Manager, a responsibility she took up in 2010. Hala has held a variety of roles in both Australian and multi-national companies including National sales and management roles at IBM for 11 years focused on software. Hala holds a Bachelor of Science in Computer Science, a Master of Business Administration and is a life-long learner. 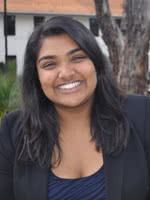 She is passionate about Information Technology (IT), software, women in IT and the role of IT in society. Hala is one of the founding member of Multiple Sclerosis Angels Canberra chapter, a group focused on raising research funds for MS and was named WICked woman of the year by the Women in Information and Communication (WIC) for her contribution to the ICT industry and mentoring for women in ICT. She is the current Deputy Chair of CollaBIT focusing on supporting Small to Medium Enterprises (SME) to connect and work with multi-national organisations. She was recently voted in for a 2nd 3 year term on the Australian Information Industry Association Federal Committee.